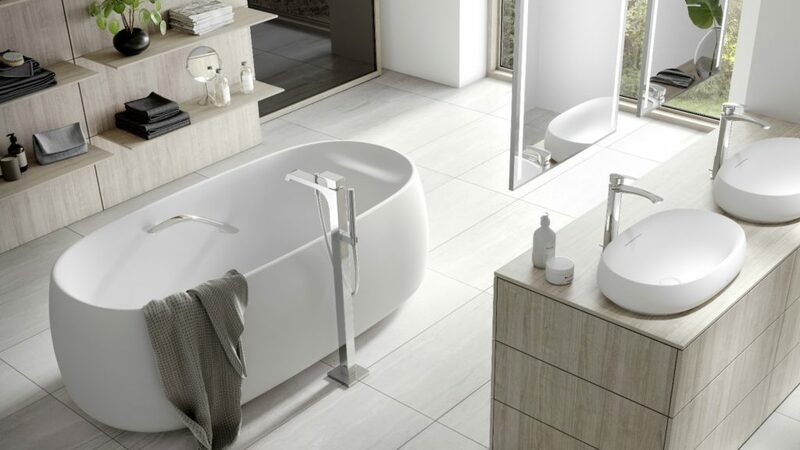 Japanese bathroom manufacturer Toto introduced floating bathtubs at ISH 2019, designed for relaxation and regeneration. According to a Japanese tradition, people absorb nature’s energy by taking a hot bath – particularly in an Onsen (hot springs found around the country). Toto celebrated this idea with Recline Comfort, which follows ergonomic studies, to ensure the bath inner puts the bather’s body into the “ideal position” for relaxation.. They comes in the choice of a rounded (shown) or angular version. It follows on from the launch of Toto’s zero gravity bath which features massage jets and a waterfall flow.